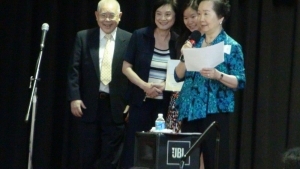 Chinese American presently enrolled as a Junior or Senior in High school in the Greater Washington DC area. Brief Achievement Descriptions since the eighth grade in a chronological order. Short Essay on “What Have I Learned in My Leadership and Service Experience”, maximum two double-spaced pages in Chinese or in English. Letter(s) of Recommendation (minimum one recommendation letter), reflecting the elements listed in the Selection Criteria above. Signed Agreement, by the applicant and parents (or guardian), for the Rho Psi Society Award Committee to verify applicant’s application (if needed) and to release his/her essay to the public. Applicant’s Correspondence: e-mail address, home address and phone number. Total application package should not exceed six pages (except School Report Card and Recommendation letter). Application package will not be returned. Award Announcement: Award winners will receive notification by April 27, 2019. All awardees will be invited to the Rho Psi Charity Ball and have to receive his/her award in person. Award Ceremony will be held at: May 11, 2019 at 2:00p.m. 1. 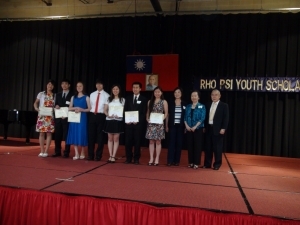 Contribution to the Chinese Community in leadership and in service. 2. Providing leadership and service in school and in general public communities. 1. Outstanding achievements in sports, arts, music and liberal arts. 2. Outstanding understanding and achievements in Chinese culture.